Explore the benefits of the Chase Sapphire Reserve® to see if it’s the right travel rewards credit card for you. The Chase Sapphire Reserve® took the credit card world by storm in August of 2016, offering a huge signup bonus, several useful travel benefits, and a rewards program packed with different airline and hotel transfer partners. Its popularity may have even taken Chase by surprise, as the card issuer ran out of metal cards at one point due to high demand. I’ve been a Chase Sapphire Reserve® cardholder since the beginning, and it has been worth its weight in gold. To see if the card is right for your lifestyle, let’s dive in to what it offers. Is it worth a $450 annual fee? For anyone who enjoys traveling, the benefits of the Chase Sapphire Reserve® are just too good to pass up. Don’t let the $450 annual fee scare you off. Between the 50,000-point signup bonus (worth $750 for travel purchases through the Ultimate Rewards portal) and the $300 travel credit, you can get over $1,000 in value from the card in a matter of months. Those points can be worth even more when you transfer them, and the Ultimate Rewards program has an extensive list of partners. It’s easy to book flights and hotels all over the world with your points. 50,000-point signup bonus -- You earn 50,000 bonus points when you spend $4,000 in the first three months after opening your account. Keep in mind that the annual fee doesn’t count towards that spending minimum. $300 annual travel credit -- Chase reimburses you for up to $300 in travel purchases every account anniversary year. Credits are applied to your statement automatically, so there’s no work required on your part. Unlimited 3 points per $1 spent on travel and dining -- Any time you use your card for a travel or dining purchase, you’ll earn 3 points per dollar spent instead of the typical 1 point. There isn’t any cap on this, which is nice if you’re a heavy spender. Priority Pass airport lounge access -- You’ll receive a complimentary Priority Pass Select membership (a one-time account activation is required), allowing you and up to two guests to access airport lounges in the program free of charge. Priority Pass has lounges in many major airports within the United States, and coverage is even better worldwide. These airport lounges are a great place to relax and grab a free drink before a flight, and they’re an absolute godsend if you have a lengthy layover or a delay. When mechanical issues turned my 90-minute layover at San Jose International into a six-hour stay there, free coffee and alcohol in a comfortable lounge made a world of difference. Global Entry/TSA Precheck credit -- Chase reimburses you either $100 for your Global Entry fee or $85 for your TSA Precheck fee every four years, so you can register as a trusted traveler and get through airport security more quickly. It’s better to sign up for Global Entry, because that also includes TSA Precheck, so you get the benefits of both. TSA Precheck doesn’t include Global Entry. 50% more on travel redemptions through Chase Ultimate Rewards -- On the Ultimate Rewards portal, you can book travel by applying your points towards the purchase as cash. Chase gives you a respectable rate of $0.015 per point this way. While I don’t use this method much because I prefer transferring my points to travel partners, it’s a nice option to have when you either can’t book travel by transferring or wouldn’t get a good deal in doing so. By staying on top of the best credit card offers, I’ve earned 350,000 bonus points in the last 18 months without paying a penny of interest. I’ve been approved for personal and business credit cards, taken advantage of targeted offers that card issuers haven’t made public, and hadgotten a denied application overturned through one card issuer’s reconsideration line. I’m also a current cardholder of the Chase Sapphire Reserve®, which I’ve used to cover my travel expenses and access airport lounges. The signup bonus -- Yes, I pointed out the signup bonus as a selling point of this card, and 50,000 bonus points is nothing to laugh at. But it would be nice to see Chase bump the bonus up or add extra bonuses you can reach with more spending. $450 annual fee -- As a premium credit card, the Chase Sapphire Reserve® carries a $450 annual fee. With all the perks and that $300 travel credit, this is to be expected, but it’s still a lot to pay, especially if you carry multiple cards. This card is worth the fee for most travelers, and the more you spend, the more value you’ll get from it. Of the premium credit cards that cost $400 or more, the Chase Sapphire Reserve® has the most versatile benefits. After you subtract the $300 annual travel credit and $20 per year for the Global Entry fee (although Chase will credit you for this every four years, a membership lasts five years before you need to renew it), you’re looking at a true cost of $130 per year for the card. You’ll also have that airport lounge access and an excellent rewards rate on travel and dining. This assumes you always use the travel credit and the Global Entry credit. This assumes you get $0.01 per point, but savvy cardholders can get much more than that. You’ll have the best odds of approval on your Chase Sapphire Reserve® application with a credit score in the excellent range, which is 720 or higher. It’s possible to get approved with a lower score, as applicants have reported approval with credit scores in the mid and even low-600s. Chase will also consider your income and debts in its decision. Chase has what is called the 5/24 rule, which is one way it avoids issuing cards to people who are only after signup bonuses. This rule means that Chase will automatically deny your credit card application if you’ve already opened five or more credit cards within the last 24 months. I recommend applying for any Chase cards you want first before getting cards from other issuers. Transfers to travel partners -- By transferring your points to a partner airline or hotel to make a booking, you generally get anywhere from $0.01 to $0.05 per point. This option offers the highest potential return on your points, and in select cases, you could even get over $0.10 per point (usually when booking an international first-class flight). Booking travel through the Ultimate Rewards portal -- As a Chase Sapphire Reserve® cardholder, you can redeem Ultimate Rewards points for cash towards travel purchases at a rate of $0.015 per point. Cash back -- You get $0.01 per point when you redeem your points for cash back. Although this is a solid cash-back rate for a travel credit card, it’s a poor use of Ultimate Rewards points since the options above provide a better value. If you want cash back, you should go with a cash-back credit card. A popular strategy for maximizing your rewards is using multiple Chase credit cards that earn bonus points in different spending categories. This works because Chase lets you transfer your rewards between your cards, and you can even turn cash back into Ultimate Rewards points if you have at least one card in the reward program. 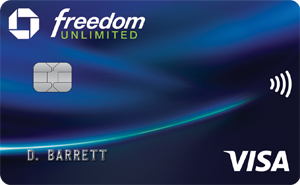 The best cards to combine with the Chase Sapphire Reserve® are the Chase Freedom® and the Chase Freedom Unlimited®. The Chase Freedom Unlimited® earns an unlimited flat rate of 1.5% on every purchase after the 3% cash back on spending up to $20,000 expires after the first year, and the Chase Freedom® earns 5% back on the first $1,500 you spend in rotating bonus categories you activate that rotate every quarter. And to top it off, neither has an annual fee. With the method above, you could earn 5 points per $1 spent (up to $1,500/7,500 points per quarter) on purchases in the Chase Freedom bonus categories, 3 points per $1 on travel and dining with the Chase Sapphire Reserve®, and 1.5 points per $1 spent on everything else with the Chase Freedom®. You can apply for the Chase Sapphire Reserve® on the Chase website, and the process is like any other credit card application. From the card’s webpage, click “Apply Now” to go to the application form. The personal section asks for your full name and address. The financial section asks for your income, the types of bank accounts you have, and your monthly housing costs. The security section asks for your Social Security number, date of birth, mother’s maiden name, phone number, and email address. After you submit the application, Chase may approve it immediately, put it under review, or deny it. For applications that get denied, you can try calling Chase’s reconsideration line to see if they’ll overturn it. The deciding factor for many consumers is the annual fee. If you’re willing to pay $450 every year for a credit card and it won’t hurt your budget, then the Chase Sapphire Reserve® is the best travel card you can get. It has the most versatile benefits and points, even compared to other premium credit cards. If you’re looking for something less expensive, the Ink Business Preferred® Credit Card is an excellent alternative. Or, you could opt for a no-annual fee credit card. Now, it’s also important to consider your chances of approval for the card. Besides a good credit score, you’ll need enough income that Chase is comfortable giving you a $10,000 credit limit or higher, because that’s the minimum for Visa Infinite cards.